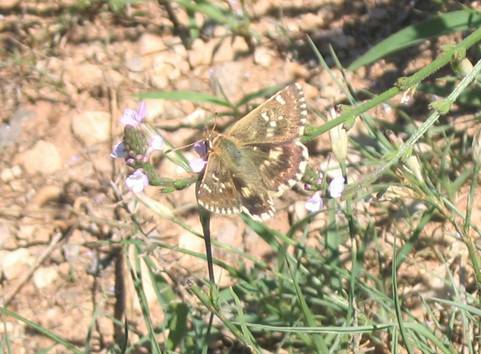 This is a species flying only in the hottest parts of southern Europe. In France it is limited to the Mediterranean area where I was lucky to observe a single individual amongst a landscape of dry vegetation dominated by Tree Graylings. It rather resembles a Pyrgus at first although the patterns are perhaps closer to Spialia with the complete marginal row around the edge of the forewings, though these are like miniature chevrons in proto.